Single lever water and temperature control. Standard US plumbing connections. High-quality ceramic cartridge. All mounting hardware is included. Drain fits standard sized 1.75-in. sink hole. Pop-up drain assembly without overflow. Designed for easy installation. Features a high quality solid brass construction ensuring durability. CUPC approved. Complies with North American Plumbing Standards. Compliant products are required by city inspectors. Quality control approved in Canada and re-inspected prior to shipping your order. Complete pop-up drain assembly included. Modern style with clean lines. Hardworking practical design. Vandal resistant handles for your commercial application. Also available in store by special order only see store for details. The unique contemporary styling of One spreaks to the minimalist's tastes. Simple and spare. One adds nicely to a number of different design environments. Also available in store by special order only see store for details. The Glacier Bay 1500 Series 2 Pack Single Handle Bath Faucets in Chrome has a nostalgic look and will complement a wide variety of bathroom decor. WaterSense certified with a 1.5 GPM water flow rate to help reduce water use and ceramic disc cartridge to help prevent dripping, this faucet meets and exceeds the highest standards of efficiency. 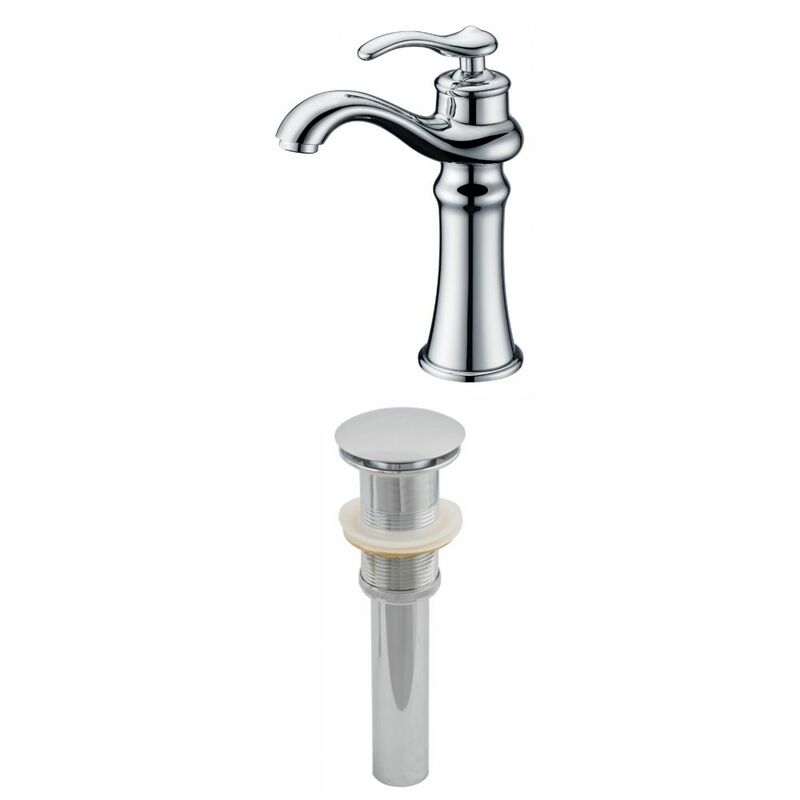 The single handle design, low-arc spout and deck-plate mount make this faucet easy to use and easy to install.